What can we expect from shares as move into spring? 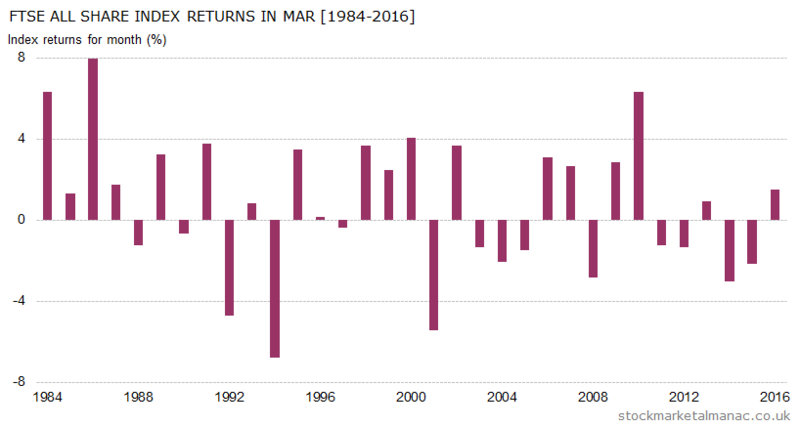 Well, since 1984 the market has had an average return of 0.5% in March, with returns positive in 55% of all years. This ranks March seventh among months of the year for market performance. Although as can be seen in the accompanying chart, negative returns have been seen in March with increasing frequency in recent years. Generally, small cap stocks outperform large cap stocks at the beginning of the year, and March marks the final month of the three-month period when the FTSE 250 strongly out-performs the FTSE 100. In March on average the FTSE 250 has out-performed the FTSE 100 by 0.9 percentage points. The sectors that tend to be strong in March are: Aerospace & Defense, Financial Services, General Retailers, Industrial Engineering, and Oil & Gas Producers, Oil Equipment. While weak sectors have been: Gas, Water & Multiutilities, Health Care Equipment & Services, and Nonlife Insurance. While, for stocks, the FTSE 350 shares that have performed the best over the last ten years in March are: Clarkson [CKN], Petrofac Ltd [PFC], and Intertek Group [ITRK], while the weakest shares have been Vectura Group [VEC], Renishaw [RSW], and Lancashire Holdings Ltd [LRE]. The results of the quarterly FTSE 100 index review will be announced on the 1st; at the time of writing Capita and Dixons Carphone look candidates to be booted out, replaced by Scottish Mortgage IT and Weir Group. Elsewhere on the diary front we have: 3rd – Nonfarm payroll report, 14th – Two-day FOMC meeting starts, 15th – Chancellor’s Budget, 16th – MPC interest rate announcement, 17th – Triple Witching, 20th – FTSE Index series quarterly changes effective, 26th – Daylight Saving Time starts. 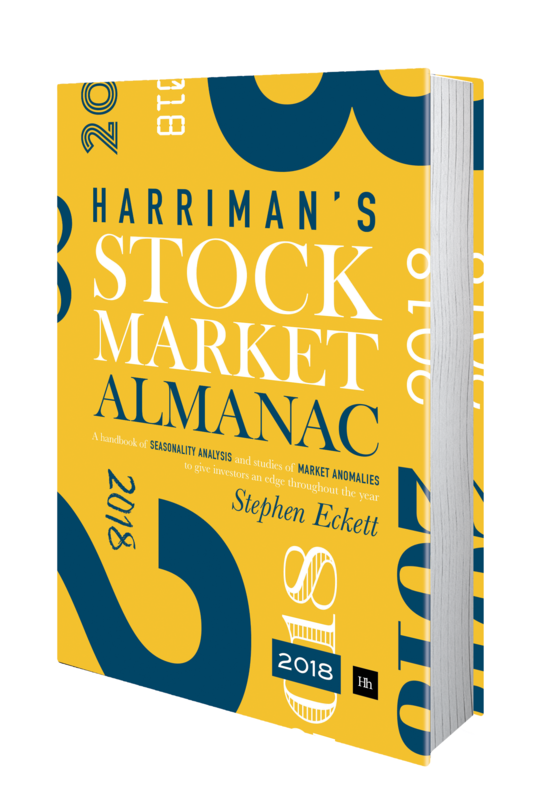 This entry was posted in March, Market, News and tagged month review by Almanacist. Bookmark the permalink.